As far as I'm concerned, maintaining the joy of childhood is A-OK. There's just a few things you have to get done before you go back to playing in the sandbox, though. It's A-OK also, because it's the sexiest part of being a grown-up: responsibility. As a child I was always told that I was mature for my age. But I think the inverse of that is that I stopped maturing early, too. 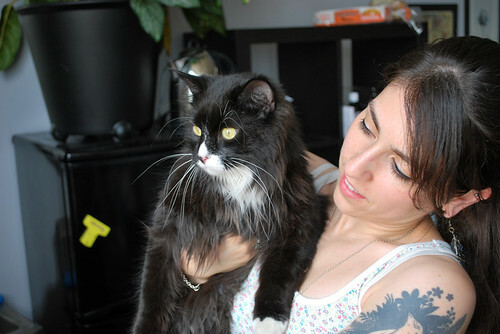 I'm getting old now and I spend my days making art, playing video games and cuddling copious amounts of pets. And that's the way I like it. I've pretty well managed to avoid everything I thought being a grown-up meant. Despite my stunted maturity, I've noticed something about the passage of time. It's waaaaaay faster these days. And it gets faster every year. There's never enough time. Ever. 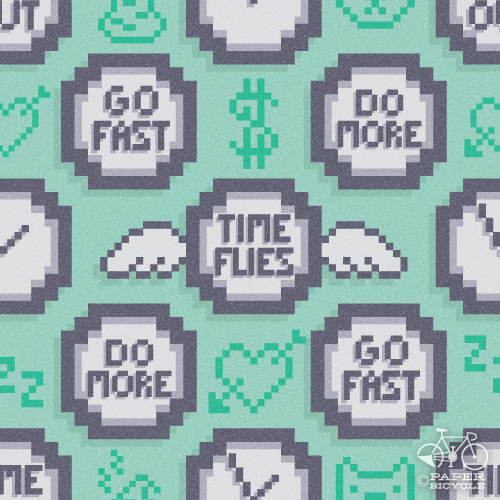 So here's a pattern dedicated to forever rushing, trying to accomplish everything that needs doing. It's made of pixels, of course, because every moment I spend dealing with my responsibilities is one more level I'll never beat. Remember, if you're bored your doing it wrong. When I was a little girl I wanted to grow up quickly. I dreamed that I would have a lot of makeup in my bathroom and own many chic pumps. I wore my mother's shoes, richly made up lipstick, and made myself seem nearly adult. This is what my current pattern is about. 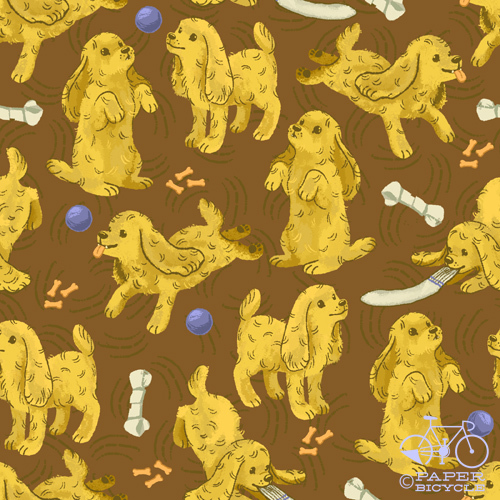 Amazing Entries & Winner of the JULY PATTERN CONTEST! 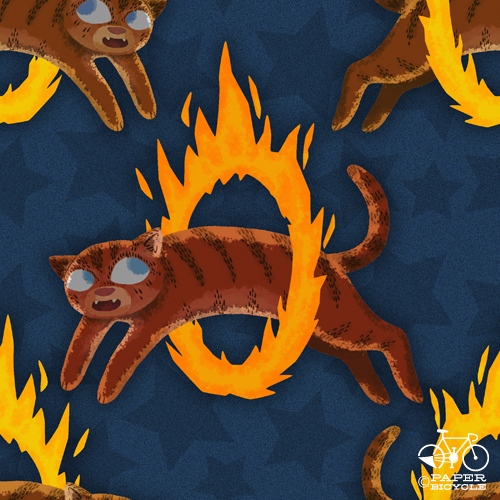 We are super excited to announce the Entries of the July Pattern Contest! Thank you so much, everyone, for working so hard on these! I am so excited, you don't even know! 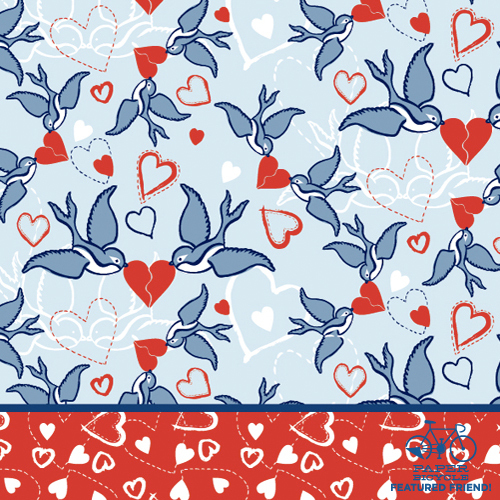 Twelve fantastic artists took the time to make a pattern for our contest and we had a super hard time narrowing down to our July Pattern Contest Winner! 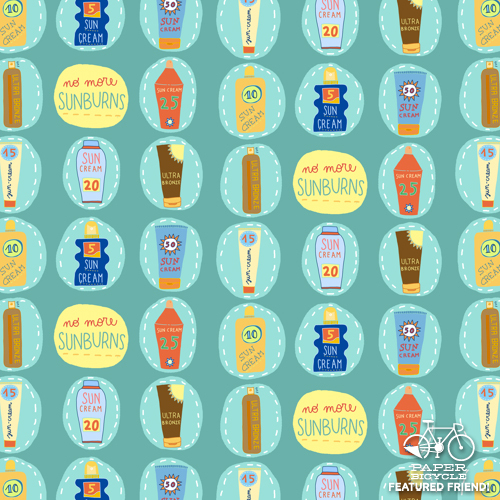 Congratulations, Anna Rodighiero, for making this amazing (and hilariously cautious) Sunscreen pattern! Oh yes, we DO know how important it is to lather it on before going out! 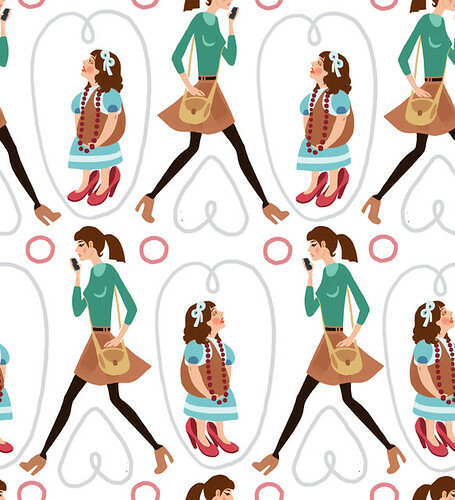 There will be no premature wrinkles for anyone viewing her super cute pattern! Please take a second and peek at the rest of her artwork! Anna, we are so excited to send you one of the cute waterbottles we've designed! Congratulations and thank you! It was incredibly hard to narrow it down and we had a tie for second place! YES. 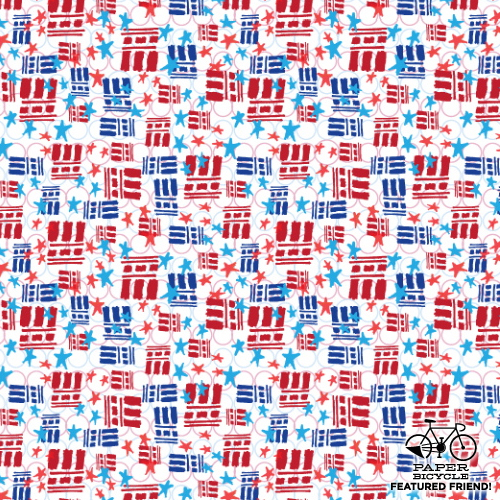 This vicious, yet patriotic, July 4th pattern by Jason Norman is to die for. Jason has a ton of crazy work that can be found on his website! Thank you Jason! This is awesome! 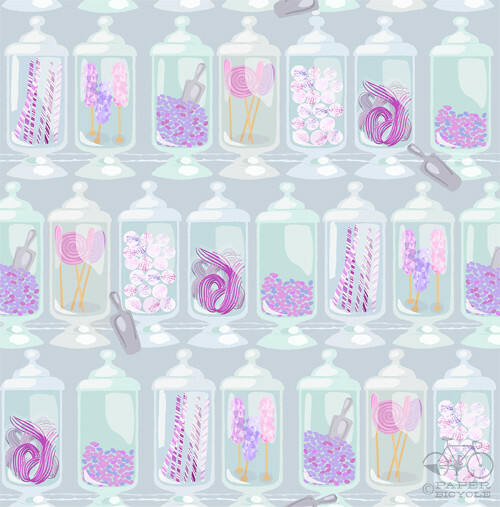 For being one of our second place winners, we want to offer you the chance to pick one of our themes for daily pattern! 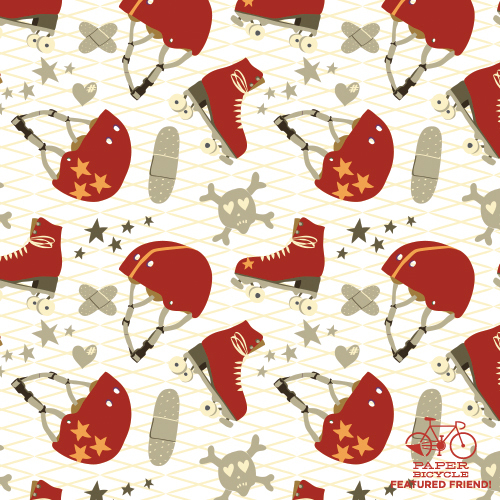 Melanie Schultz's roller derby pattern! Man, it makes me want to put on my spandex unitard and push some burly girls over! Melanie's other awesome work can be found on her site! Congratulations, Melanie! 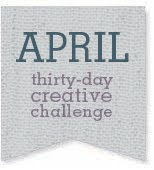 We'd love for you to pick a topic for our future daily patterns as a second place prize! 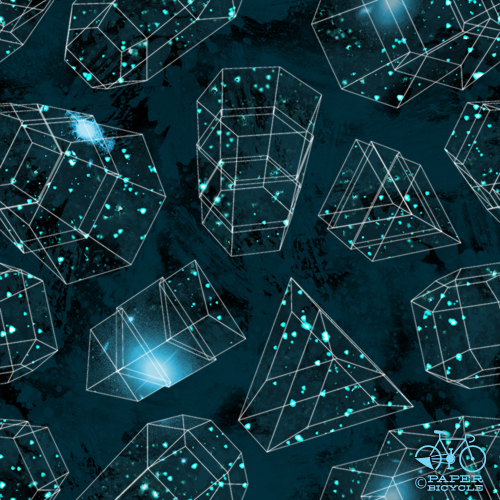 We have a ton more amazing patterns where these came from! 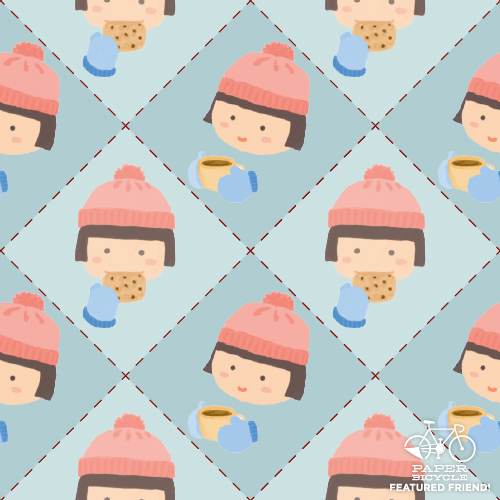 Nozomi Arisawa made this adorable (and tasty) pattern! I would love to share that cookie with her. She looks like she's really enjoying it! 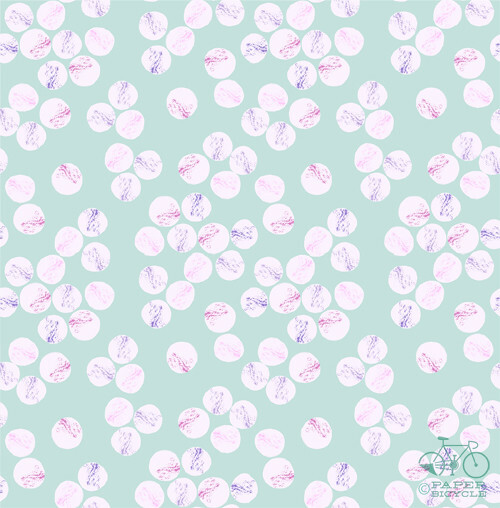 Nozomi's other artwork (and some other amazing patterns) can be found here! 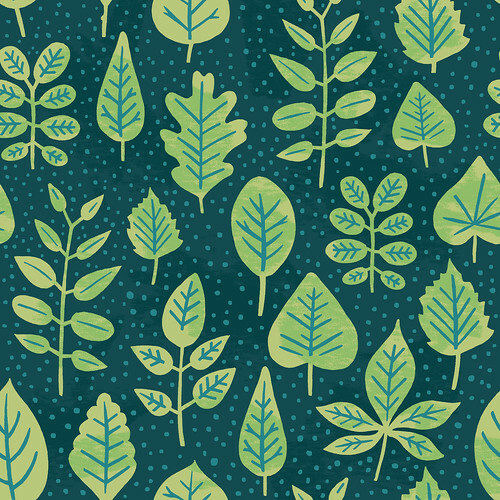 Have you ever tried to make foliage repeat? It's super hard! 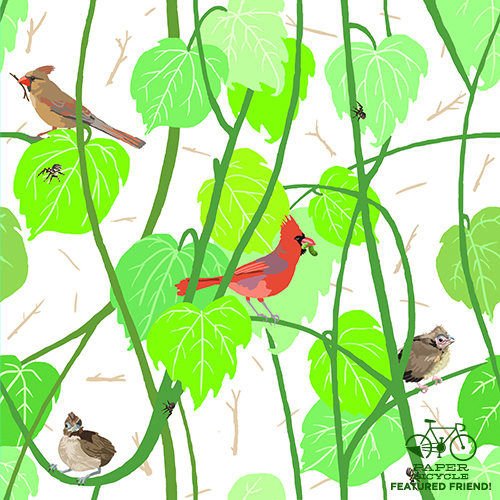 I was really impressed by this naturalistic songbird pattern by Dustin Davis. 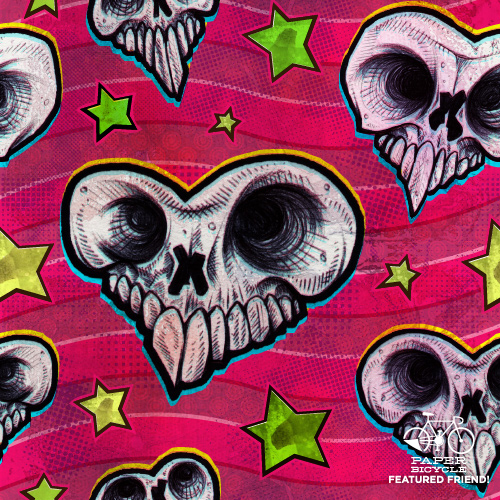 Take a peek at Dustin's other great work here on his site! 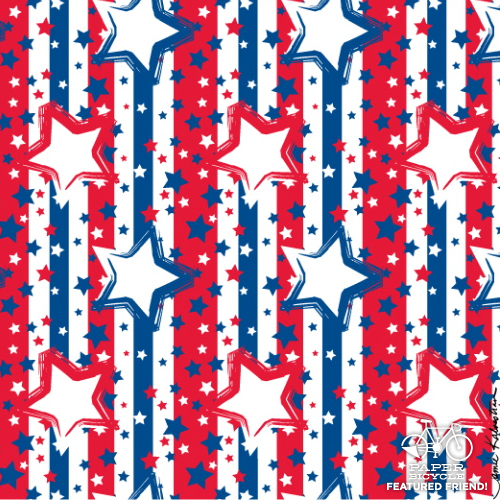 Look at this powerful Star-spangled Pattern by Jamie Kalvestran! 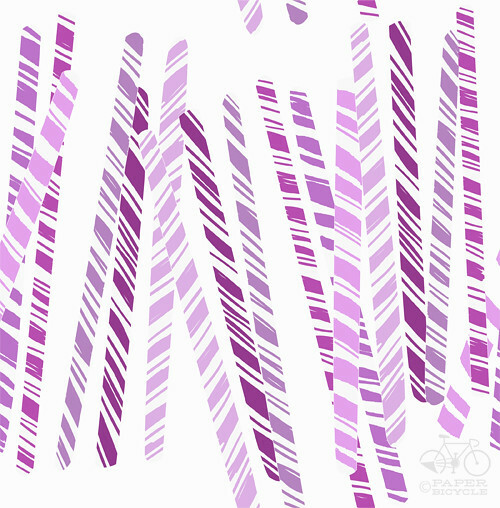 Jamie has a ton of great patterns on her sites! Here are links to her website and blog. Thanks Jamie! 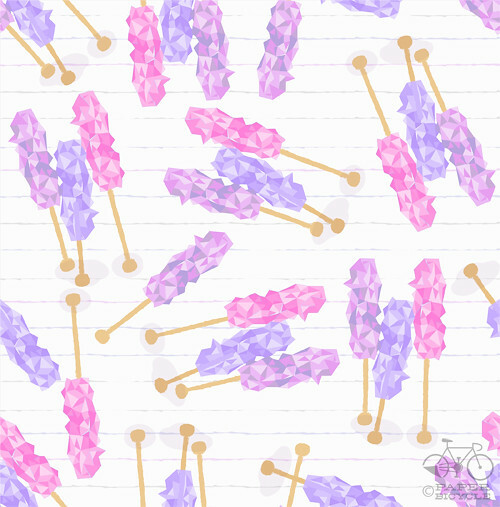 Emily Muschinske made two gorgeous patterns (along with some super fun coordaintes!) for July! All of her bird characters are so sweet! Emily has a ton of fantastic work on her site. She also has a teaching site that looks like a ton of fun! Thanks Emily! 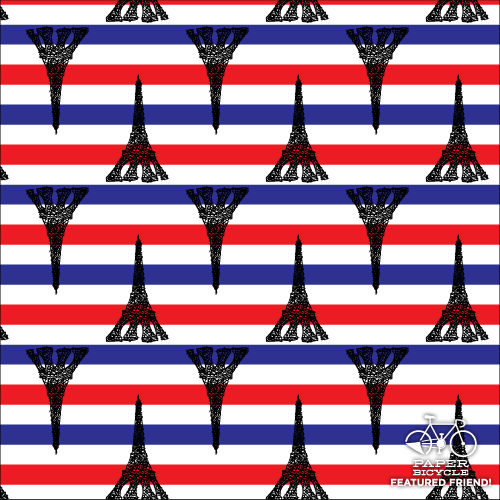 I love the simplicity of Gail Rall's Bastille Day pattern! So bright and bold! Please check out Gail's website and blog for more of her great work! Thank you, Gail! 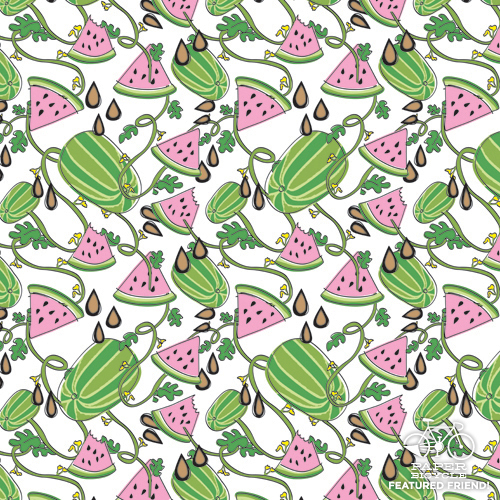 Greg Lindholm made this super refreshing, intricate watermelon pattern! Watermelon is the perfect summer food! You can't have a backyard bar-b-que without one! I love it! 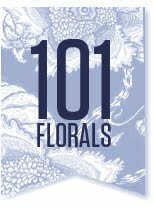 Check out Greg's design blog here. I love birds! How did you know? 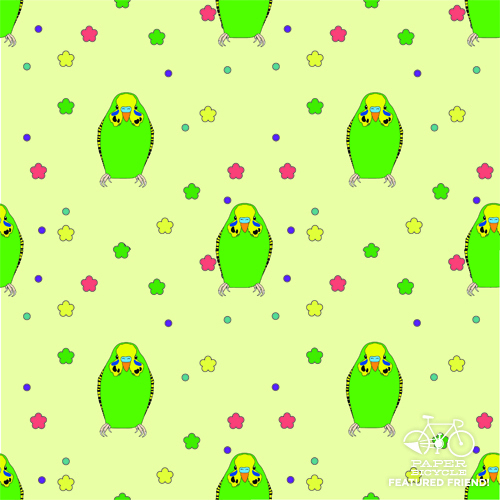 Thyra Helgesen made this adorable pattern of a sweet parakeet! I love the little food bits! I recognize those! 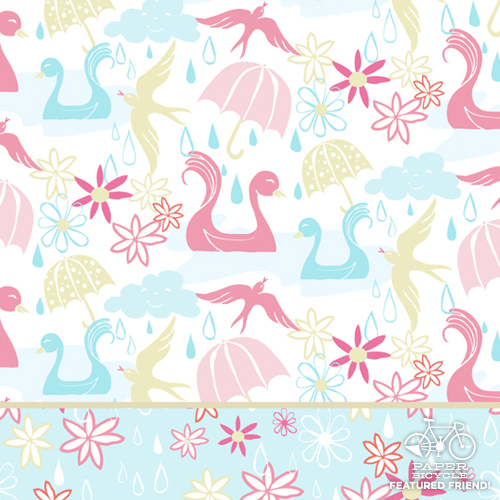 Lisa Travis made this fantastic, textural July pattern! I love the small details! 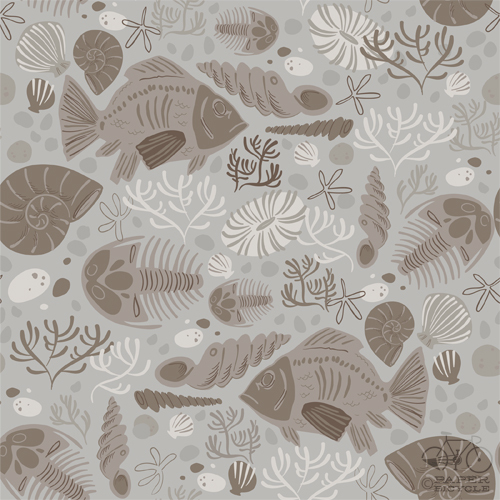 This would make a wonderful quilting fabric! Check out Lisa's other great work on her website. Thanks Lisa! 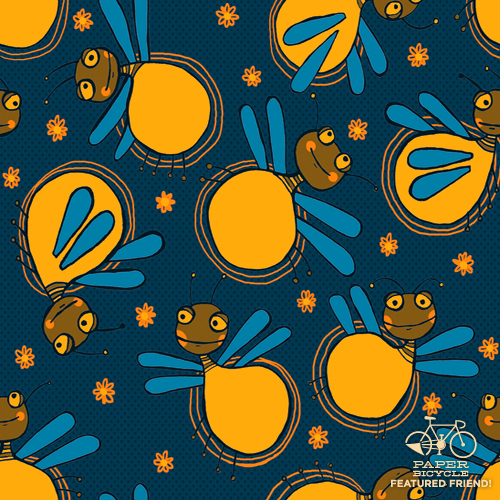 And last, but certainly not least, Emily Balsley made this totally adorable lighning bug pattern! I saw so many of these cute guys in real life only a week ago! We don't get them in the city, so seeing them was a real treat! I love this! See Emily's work on her website and visit her blog for more! Thanks Emily! Thanks again to everyone that entered! We're proud to show off your work! Get ready for our August Contest, everyone! It'll soon be upon us! If I wasn't doing art for a living, I'd love to dig up some old things. I'd probably choose to take the Indiana Jones route, finding lost relics and studying ancient culture. I suppose one step down from being an genius-adventurer anthropologist would be being some kind of field researcher dealing with some other kind of ancient thing. For my science pattern I picked Fossils! Every time I head to the beach I look for them. I can often find some small shells or some weird little worm looking things. Oh, science. You're pretty cool. What's the most amazing thing in science? SPACE! Duh. One of my favorite books of all time is Steven Hawking's A Brief History of Time . If you haven't read it, you should. It's written in a very understandable language, and really makes you see the universe in a different way. I was really disappointed by NASA's recent shutdown, so I think space has been on my mind more than usual. 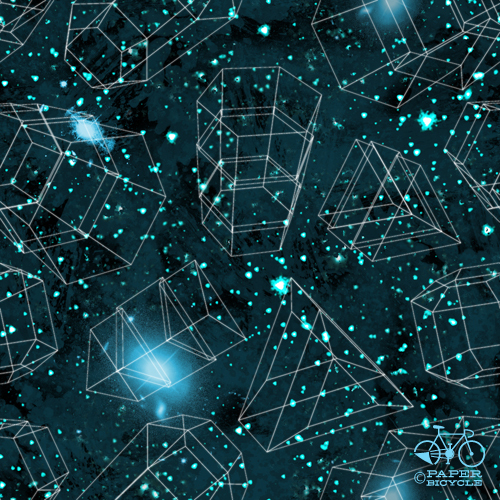 To create the star layout in my pattern I used real images of space from NASA Images, a non-profit filled with stellar (ha!) copyright-free imagery. Hit it up, it's an AMAZING RESOURCE. I downloaded about 40 images, but only used 4 or 5... so cool! I figured today's science patterns would all be like microbiology, and microscopes and such so I decided to go a different direction with my science pattern. One of my favorite non art classes in high school was 'Environmental Science' taught by Mr. Forester (how ironic, right?). As part of the class we learned about composting, bird calls, and we also had to learn leaf identification. The semester culminated in a leaf project where we had to collect specimens and put together a journal with facts about different trees. How many of these leaves can you identify? 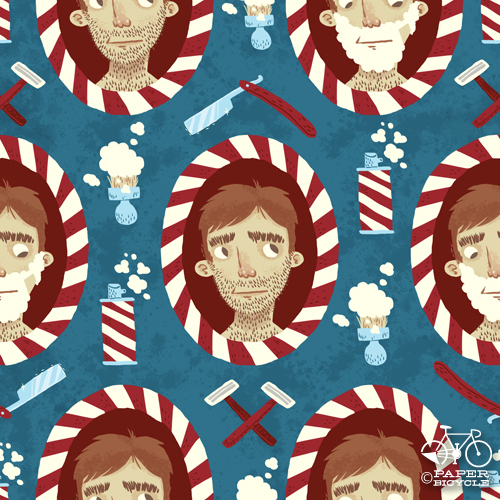 Candyland is Chris's idea, but when he said he wasn't going to make that pattern I couldn't not do it. I ended up drawing all of the characters, but ditched the three worst ones. Maybe I'll post them somewhere sometime. This is one of the best topics ever! 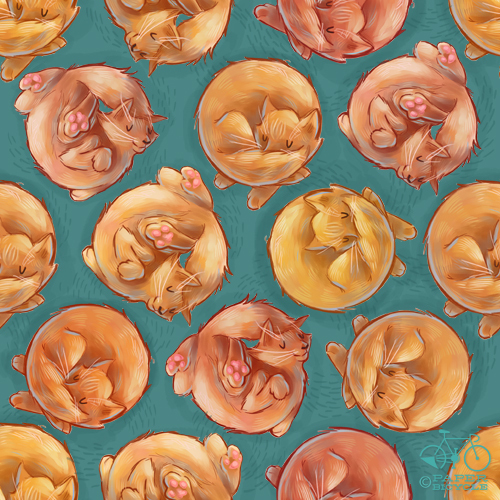 I had a great time sitting around tonight making this pattern. In fact, I was super excited and made some coordinate patterns! Like Alyssa, I LOVE old timey candy! I love candied raisins (anyone remember that? ), rock candy, jawbreakers and after dinner mints! Yum! ... and all the coordinates! 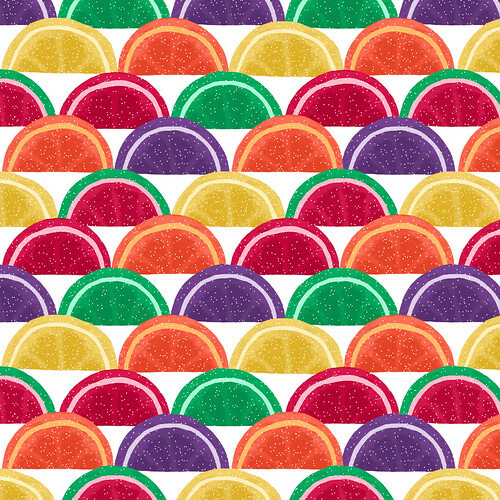 For today's pattern I wanted to do a classic, non-branded candy. I was brainstorming ideas with my roommate as we were walking through the city and he suggested the candy fruit slices. These were a regular treat at my grandma's house back in the day, and I just bought a scoop of them while visiting the ocean a few weeks back - still as good as I remember! Bling blang! 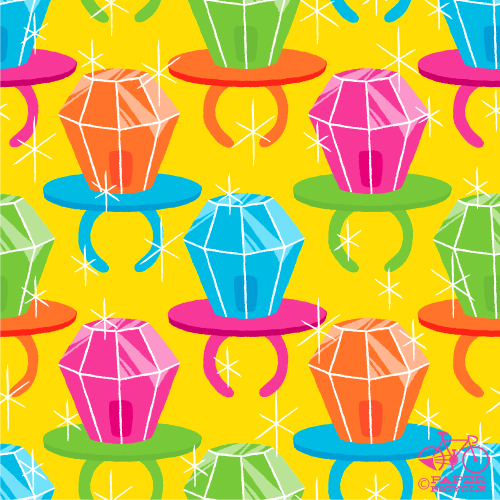 Back in the day, if you wanted to be straight ballin' on the playground, you had to have a Ring Pop! See you at the rave! 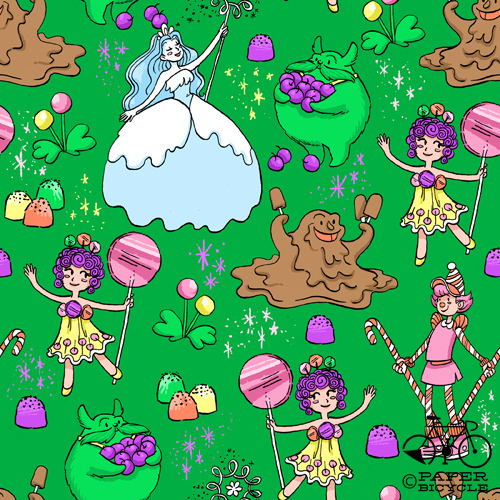 I'm going to guess that a certain rainbow-themed candy is a favorite of Minerva's! Good choice! Today I'm probably not going for an original subject. 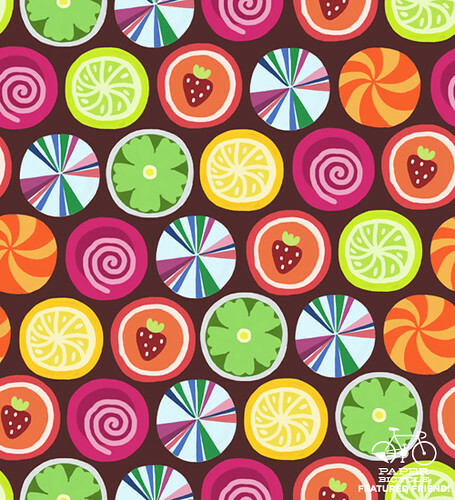 I decided to draw a jelly sweets because I wanted to make a simple, bright, geometric pattern (although I prefer chocolate candies). 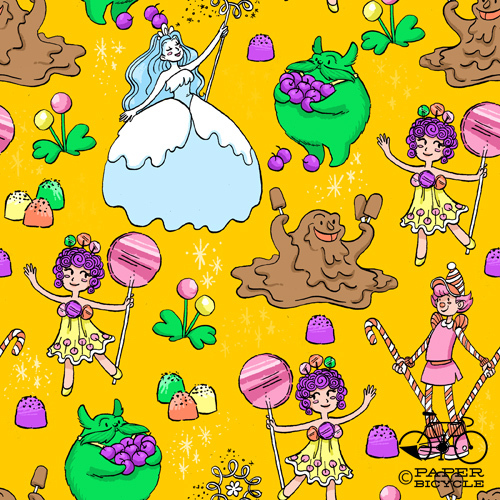 But the images with jelly sweets are incredibly attractive and cute! 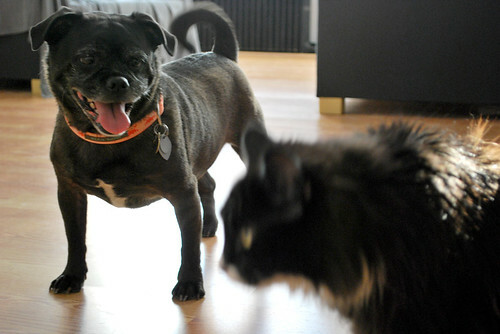 A couple days ago I got to sit down with Greg Lindholm and discuss his new blog Fully-Fledged. Thanks Greg, for the great interview last week! 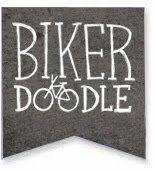 I also thought you would really enjoy his great new blog, so I'd like to share it! Greg is a fantastic guy with a quirky sense of humor and a great sense of style. 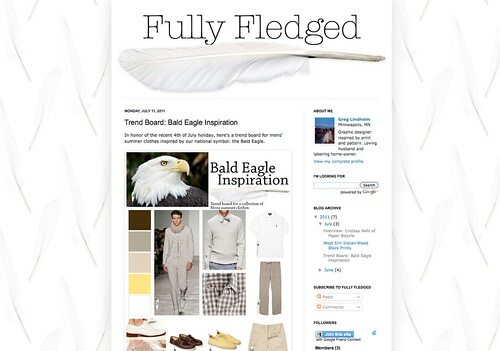 His blog covers men's fashion & home, accessories, color and process of the things we'd love to own - all while relating it back to his love of birds! Each mood board he does is headed with a different bird - and the images that follow create a lively collection that relates back to color, mood, or personality of each bird. While we chatted, I asked him about where the bird theme came from. He explained that he's always had a fascination with birds (their ornate aspects, their character, and their wide variety of markings) and thought it would be a fun opportunity to meld his love of birds with his love of design. He's looking forward to continue exploring his own voice, style and aesthetic through his content and is very excited to share it! 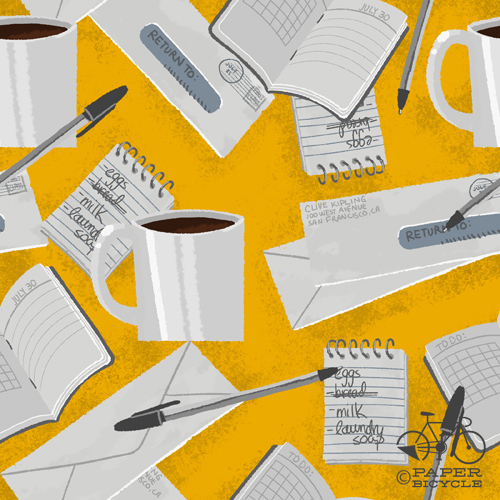 He's also featuring up-and coming design, individual products, and some really fun highlighted posts about the stores we love. Congrats, Greg! We are super excited and can't wait to see what you post about next! It's worth all of the rolls of masking tape and lint rollers, though. Maybe I'll cuddle up with all of them and watch videos of kittens falling asleep on youtube. Best night ever! While I'm not nearly the level of a Jesse Riggle, I'm a pretty hairy guy. I do an okay job of keeping my wilderness in check these days, but in high school I was one of those kids who had a full beard. In college I got the nickname Teenwolfdude because I had mutton chops down to my clavicle. Jesse here. 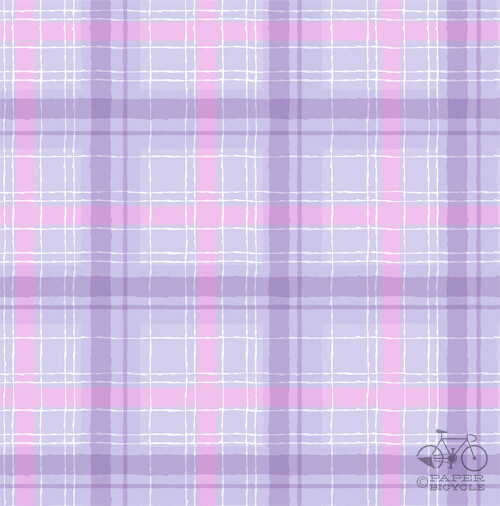 So this is my second ever pattern (not counting all my secret patterns). I opted to draw on personal experience as a beard-sportin' sort. This is how I envision myself if the world were a utopia. And if there were a whole lot of me. 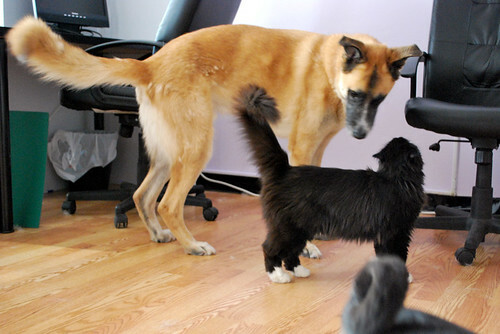 Standing really, really close to each other. Too close. Yes. We did it. We made something. Something delicious and wonderful and full of vigorous team effort! We visited my parents this weekend on our way back from a trip to Chicago (more on that trip soon!) and we started on a fresh endeavor. We tried to cook something. 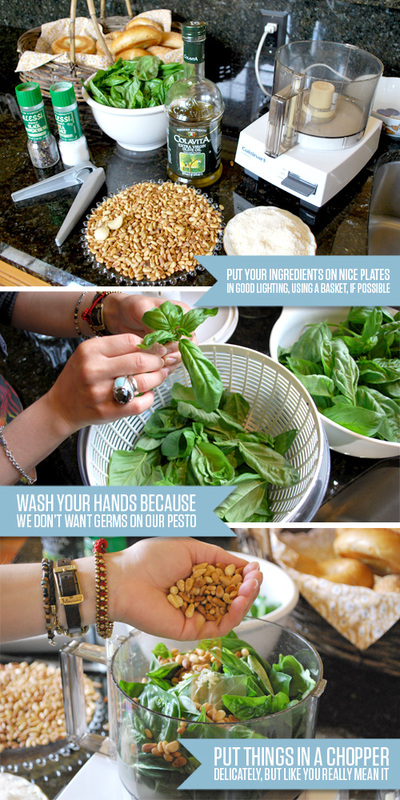 Thanks to my mom's gorgeous counter top (and thanks to my Mom), we were able to document how we did it. Yes! 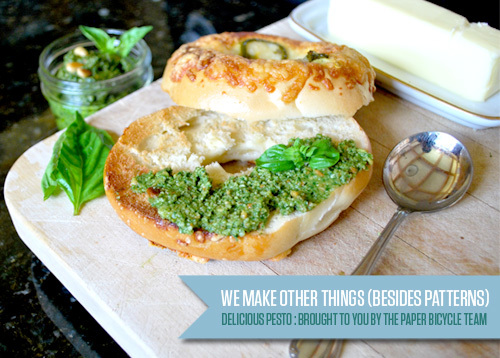 Pesto Success! I even ate some of it when it was done! It's edible! 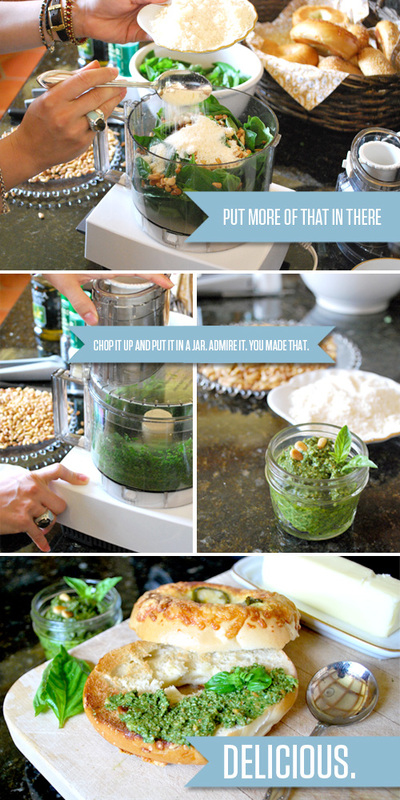 (Basil, Toasted Pine Nuts, Parmesan Cheese, Salt, Pepper, Olive Oil - seriously, just keep putting it all in a blender until it looks/tastes good.) That's my kind of cooking. 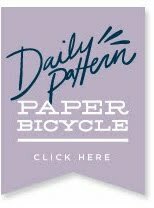 editor's note: Ira made two patterns today! Check the previous post for her other pattern! 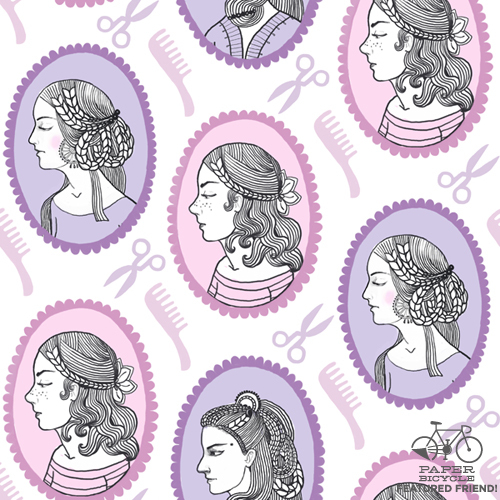 When I started making this pattern, I did not translate the theme literally because I thought it meant "long-haired". I wanted to draw graceful feminine hairstyles. Then I decided to look in Google translator for the exact meaning of the word. I saw the pictures and was I disappointed; there were a lot of not-very-attractive hairy people. 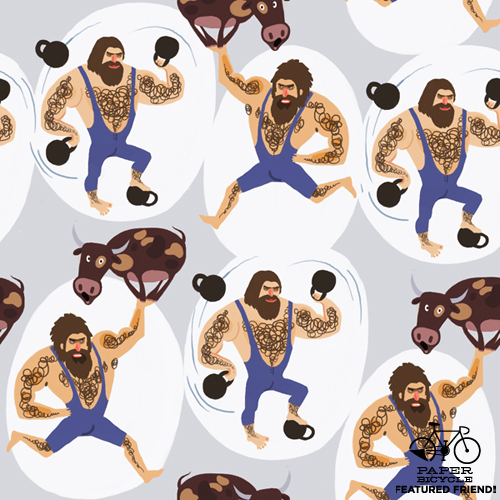 So I drew a second pattern with characters similar to Graeco-Roman wrestlers. It seems to me they are very brutal and funny at the same time. 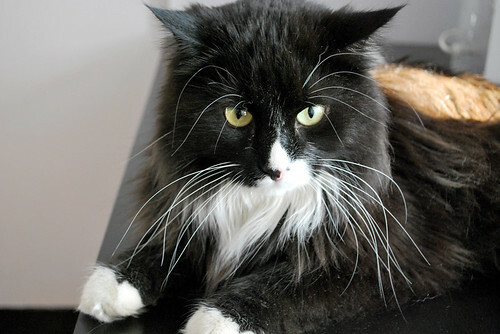 editor's note: Ira made two patterns today, so stay tuned this afternoon for the next pattern! Here he is to save the day! 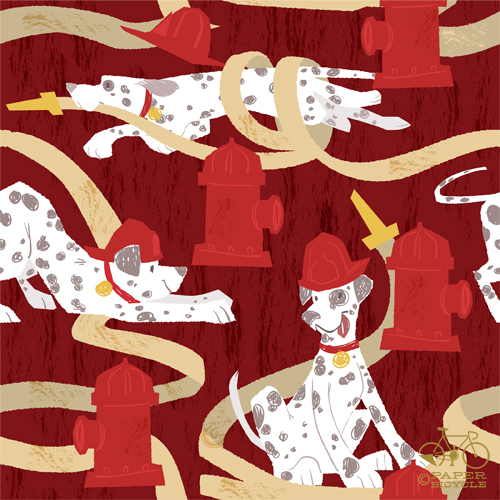 Spot the Dalmatian will put out all the fires! I wish he would come to the office and put out some more metaphorical fires! Oh, Spot, you can't be in all places at once, can you? More flaming hoops! 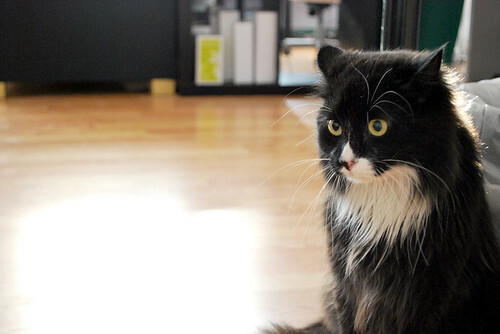 More cute cats! Besides, I can't resist drawing cats!